We’d love your help. 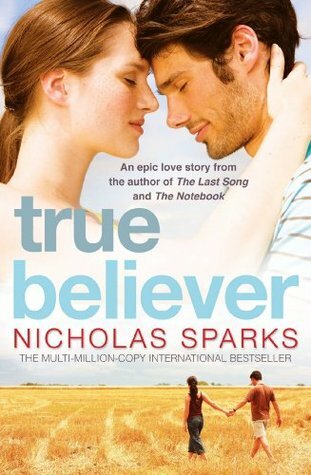 Let us know what’s wrong with this preview of True Believer by Nicholas Sparks. Can the mysteries of the human heart ever be unravelled? Pursuing a scientific explanation for a disturbing and unexplained phenomenon, Jeremy's sceptical nature is thrown off course when he meets Lexie, the town librarian. As they work together, ghostly occurrences and passionate moments converge, forcing Jeremy to realise that there are some truths science cannot explain, as he finally appreciates the pleasures of exploring the heart. To ask other readers questions about True Believer, please sign up. True Believer is book one in the two book series, Jeremy Marsh & Lexie Darnell, by Nicholas Sparks. Jeremy Marsh is thirty seven years old and is an investigative journalist. He is known for his scientific debunking abilities, such as outing a psychic as a fraud who claims to be able to speak to the dead. Jeremy lives in New York and is divorced. He was badly hurt in the process. It’s been several years. He is very good looking and has no problem with women, just hasn’t allowed himself to go True Believer is book one in the two book series, Jeremy Marsh & Lexie Darnell, by Nicholas Sparks. Jeremy Marsh is thirty seven years old and is an investigative journalist. He is known for his scientific debunking abilities, such as outing a psychic as a fraud who claims to be able to speak to the dead. Jeremy lives in New York and is divorced. He was badly hurt in the process. It’s been several years. He is very good looking and has no problem with women, just hasn’t allowed himself to go beyond casual encounters. Jeremy received a letter in the mail from a woman named Doris from Boone Creek, North Carolina, inviting him to come to their tiny town to investigate some ghostly lights that appear in the town cemetery. He already has prime time television interested in him in the wake of his last story, so this one has the possibility of launching his career from journalism into television. He can’t refuse. So off Jeremy goes, from the metropolitan city of New York, to a tiny town, dying little by little, grasping at straws to stay alive. Jeremy always solves his mysteries. Doris, the woman who wrote the letter, even claims to have some psychic abilities. But when Doris sends Jeremy to the town library to begin his research on the town’s history, he meets Doris’s granddaughter, the librarian, Lexie Darnell, and his life was forever changed. Lexie loved living in Boone Creek. She loved being near her grandmother who raised her after her own parents tragically died. She loved her job as librarian. And she loved the people of the town. She did leave Boone Creek for college and even fell in love. But she was badly hurt and returned to Boone Creek, just as she always knew she someday would. She didn’t want to feel an attraction to Jeremy. She had known men like him, big city men, who looked down on small towns like this one. And if she did allow herself to care, it would be she that would end up getting hurt. Because her life was here and his was in New York. Still, there was something about him, and it was too much to ignore. For Jeremy, Lexie was different than any other woman he had ever known. She challenged him in ways no one else ever had. Her humor was dry and sarcastic. She was intelligent and witty and sweet and honest to a fault. He had trouble keeping his mind on what he was supposed to be doing. His thoughts always seemed to drift to her. Could a man fall in love in just two days? Because he just can’t imagine his life without her in it. Is there a way to make things work? Over his time in Boone Creek, Jeremy immersed himself in the town history and studied the cemetery and the surrounding areas. The mayor of the town treated Jeremy like a celebrity and Jeremy found himself impressed with the town and it’s people. And finally, Jeremy got to see the lights. They were beautiful. It was an experience he’ll never forget. Are they really the spirits of the long ago deceased or is there a logical explanation? This is a beautifully told love story between two people that were both okay being alone, who weren’t looking for anything more than what they had. But isn’t that when love usually finds you? When you aren’t looking for it? This is actually a pretty long book. And I have to admit it was a little slow at times. 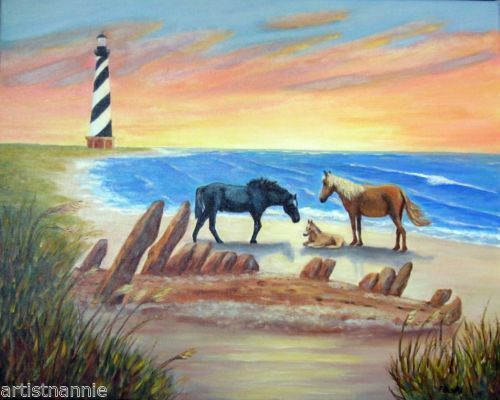 In true Nicholas Sparks fashion, he builds the story slowly, allowing us to get to know the characters. I also admit that Lexie frustrated me a bit. But it was only because she was trying to protect herself, and her town. I loved Jeremy. For a man who spent his life proving that magic wasn’t real, I loved how easily he accepted how he felt, what he saw in Lexie. There is a sequel to this book. It is a continuation of Lexie and Jeremy’s story. But there is no cliff hanger with this one. It comes to a conclusion and you aren’t left hanging in any way. This was my first Sparks' book and I really liked it. I'm so glad I finally read one of his books. I must admit that the firs half of the book was really slow, I was wondering the whole time why was I reading it. That's the reason why I'm giving just 3 stars, and I almost gave 4, because then things got really good between the two characters and the ending was great. An important fact is that this book does have a HEA! I must clarify this because Spark is known for his tragic endings, but this is This was my first Sparks' book and I really liked it. I'm so glad I finally read one of his books. An important fact is that this book does have a HEA! I must clarify this because Spark is known for his tragic endings, but this is not the case in this book. Dicen que normalmente se conoce a los escritores por una obra: que una única novela es lo que les da la fama. Dicen, no sé si será cierto o no, y mucho menos en el caso de este escritor; aunque te vendan sus novelas como el autor que escribió El cuaderno de Noah. Con esto no quiero decir que ésta novela sea mala, ni mucho menos, es más, me ha gustado bastante, sin embargo, y después de leer Querido John, de este mismo autor, esperaba algo más. De todas maneras, es una muy buena novela. True Believer is a 2005 romance novel written by American author Nicholas Sparks. Pursuing a scientific explanation for a disturbing phenomenon, Jeremy's skeptical nature is thrown off course when he meets Lexie,the town librarian. As they work together, ghostly occurrences and passionate moments converge, forcing Jeremy to realize that there are some truths science cannot explain, as he finally appreciates the pleasure of exploring the heart. I generally like Nicholas Sparks novels. Reading his books are generally pleasing...I don't believe any I've read are masterpieces or anything, but they've all been at least "okay." This one, however, was a letdown. True Believer has to be his weakest book. It didn't draw me in like his other work. I didn't care much about the characters, and the story, I thought, was quite dull. It's been a while since I read it, so I can't remember specifics, but my general feeling was that it was poorly writte I generally like Nicholas Sparks novels. Reading his books are generally pleasing...I don't believe any I've read are masterpieces or anything, but they've all been at least "okay." Even for my throw-away books, I have SOME standards. I call it my "popcorn for the brain" genre because they are usually fluffy and without substance. I somewhat enjoyed The Notebook, so I thought that this would be an ok bet. However, this book disappoints - even on the popcorn level. The story was 100% predictable from the beginning so reading it wasn't the least bit exciting. I know it's supposed to be a romantic book but the so-called "tension" did not come across well in the book. It just fe Even for my throw-away books, I have SOME standards. I call it my "popcorn for the brain" genre because they are usually fluffy and without substance. I somewhat enjoyed The Notebook, so I thought that this would be an ok bet. However, this book disappoints - even on the popcorn level. The story was 100% predictable from the beginning so reading it wasn't the least bit exciting. I know it's supposed to be a romantic book but the so-called "tension" did not come across well in the book. It just felt like two people being stupid. Even the actual romantic parts was just two people being stupid. I read it very quickly, and not because I couldn't put it down, but because it was SO fluffy that there was nothing really to read. At 300 pages, the storyline could have fit into 10. Took me ages to finish this book. Never start reading a book with high expectations. Actually never do anything with expectations. Your imagination sets the bar too high to be achieved. More appropriately titled: "True Velveeta", this novel oozed cheese from every page. Don't get me wrong, I enjoy a quick, light read of Nicky's work, but he over-cheddar'd this one. "Should I go, should I not, should I, should I not...." The main character painfully analyzes each and every decision he makes, from ordering a latte to chasing after a southern belle. There is a sequel to this one, but barring an unexpected plot twist involving mushrooms and midgets, it may be awhile before I pick i More appropriately titled: "True Velveeta", this novel oozed cheese from every page. Don't get me wrong, I enjoy a quick, light read of Nicky's work, but he over-cheddar'd this one. "Should I go, should I not, should I, should I not...." The main character painfully analyzes each and every decision he makes, from ordering a latte to chasing after a southern belle. There is a sequel to this one, but barring an unexpected plot twist involving mushrooms and midgets, it may be awhile before I pick it up. My first exposure to Nicholas Sparks. A very pleasing experience. He kept a gentle mix of mystery, romance, jelousy and intrigue within the context of his story. I found the style to be easy to follow. Horrible. I had to force myself to finish it. I feel like reading this book robbed me of time I will never get back. I loved The Notebook, but absolutely hated this story. Picked this up at a consignment shop. I was familiar with some of Sparks' other books which have been adapted into films, but had never read anything by him. This was okay. Sparks has a talent for creating interesting and substantial characters (at least when they're not being annoyingly silly), and the writing is fine. 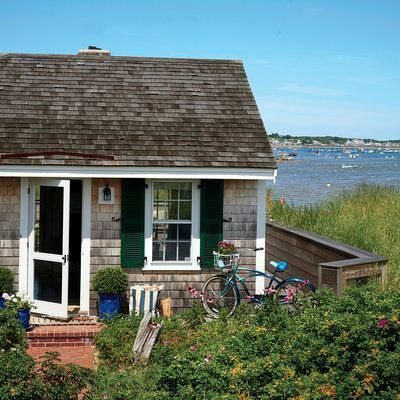 The story here isn't bad, either...or at least not all bad. Unfortunately, certain elements border on sappy-you-got-to-be-kidding-me. ***News Flash*** Intelligent women don't find Picked this up at a consignment shop. I was familiar with some of Sparks' other books which have been adapted into films, but had never read anything by him. The story here isn't bad, either...or at least not all bad. Unfortunately, certain elements border on sappy-you-got-to-be-kidding-me. ***News Flash*** Intelligent women don't find guys who profess their love after 2 days and a roll in the hay as romantic or attractive. To the contrary, we think it's a little creepy. It doesn't make our hearts pitter-patter or our cheeks flush red. If only he had stretched the relationship out, I think it might have been more believable and more satisfying. This book lost me at the sentence, "he breathed her name like a prayer." That would never happen in real life. And if it did happen it would be creeptastic. Not my favorite Sparks novel but that ending though!! Before last week, I was a 22 year old girl who had never read a Nicholas Sparks novel or, for that matter, seen one of the movie adaptations of his books. I know! People criticized me for it, and I almost felt like my woman card was going to be revoked or something. To remedy the situation, I bought a huge stack of his work last summer (they were cheap garage-sale finds! ), and almost a full year later, I actually sat down to read one. Jeremy Marsh is a science journalist who gets his kicks expos Before last week, I was a 22 year old girl who had never read a Nicholas Sparks novel or, for that matter, seen one of the movie adaptations of his books. I know! People criticized me for it, and I almost felt like my woman card was going to be revoked or something. To remedy the situation, I bought a huge stack of his work last summer (they were cheap garage-sale finds! ), and almost a full year later, I actually sat down to read one. Jeremy Marsh is a science journalist who gets his kicks exposing the smoke and mirrors behind supernatural occurrences. Riding high from a recent investigation that has every major television network begging him to join their teams, Jeremy decides to make a quick trip to North Carolina to expose the mysterious ghost lights in Boone Creek’s graveyard. A blink-and-you’ll-miss-it town with its fair share of eccentrics, Boone Creek doesn’t have much to offer a born and bred New Yorker like Jeremy, but an encounter with a beautiful woman has him thinking all sorts of crazy things. Lexie Darnell is the town librarian and one of the pillars of Boone Creek society. She’s had her experiences with the outside world and decided to come back home, swearing that she’ll never give up her small-town life again. Lexie and Jeremy become smitten, but with both possessing strong, stubborn personalities, how can they possibly make a relationship work when their hearts lie in two different places? Romantic in a non-graphic way (no heaving chests or throbbing members or anything like that) with a hint of the supernatural, this book was… an interesting take on chick lit, but decidedly not my thing. Not to sound sexist, but I wasn’t a big fan of romance from the man’s perspective simply because it made Lexie a little less relatable to me. Sparks switched back and forth from Lexie to Jeremy’s point of view, but overall, Jeremy was the protagonist, and I couldn’t really understand Lexie’s motivations most of the time. Or, well, I should say I understood it, but I didn’t necessarily believe it. The plot was also very predictable, and the ending was more than a little cheesy. I also wasn’t a big fan of the extra drama Sparks added in. Relationships should be easy! Fun! Laid back! Sparks’ characters make mountains out of molehills, fight about non-issues, lie to avoid talking about their feelings, and run away when things get tough. Life isn’t that hard! I hate being in relationships where people just can’t be honest, I hate hearing from my friends about the drama going on in their love lives, and I hate having to read about it with fictional characters. Big issue? When an ancient curse overpowers your emotions and makes you fight your soul mate to the death to fulfill a blood debt, a la Starcrossed. Little issue? The guy you like lives in a different state. 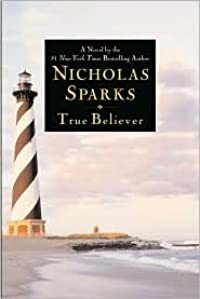 ***True Believer, by Nicholas Sparks, is a romance and realistic fiction novel. Nicholas Sparks is a popular and accomplished author of many love stories, and this book is no exception. True Believer revolves around the potential love story of two main characters, Lexie Darnell and Jeremy Marsh. It develops with themes of personal sacrifice and the urge to lead where love directs. Jeremy Marsh is a young man from New York City who is famous for debunking myths. On a work trip to Boone Creek, Nor ***True Believer, by Nicholas Sparks, is a romance and realistic fiction novel. Nicholas Sparks is a popular and accomplished author of many love stories, and this book is no exception. True Believer revolves around the potential love story of two main characters, Lexie Darnell and Jeremy Marsh. It develops with themes of personal sacrifice and the urge to lead where love directs. Jeremy Marsh is a young man from New York City who is famous for debunking myths. On a work trip to Boone Creek, North Carolina he runs into Lexie Darnell. She is a small town girl, and is determined not to let anything or anyone get in the way of her safe, mediocre life. Basically, she is scared of getting her heart broken. The book takes place over the couple days Jeremy is in town and the two begin to develop interest in one another. It turns out, that leads to lots of struggling. This book was a hard read. It was too long and drawn out for me to enjoy. I felt like I was waiting for something to happen the entire time and it didn’t happen until the very last page. It was rather boring and did not strike me as memorable, as nothing exciting really happened until the end. I agree with the author that love is a tricky, difficult subject. However, I do not think it requires as much back and forth nonsense as this story depicted. I think this book leaves out how exciting it is to get to know another person when it comes to “falling in love”. It only takes place in a weekend and does not develop the relationship between Lexie and Jeremy nearly enough. The one positive thing I have to say about it is the ending. It suggests that sometimes the only way people can come together is through changing your mindset. For Lexie and Jeremy to make it, Jeremy has to learn to believe in the one thing he doesn’t-miracles. Overall, I would not recommend this book due to the lengthy relationship drama it revolves around, but I still can appreciate the message it sends. Agh, this book! My grandma gave me this to read, but even she was like, um, yeah, it's kind of lame, so read at your own risk. So, she did warn me, so this is all my fault. I think my problem is that I don't appreciate love stories where the woman gets to act like a raging b*tch because she's been hurt in the past, but the man is supposed to chase after her, even after she pushes him away multiple times. Lexie, our female lead, irritated me because that was all she did. She'd been hurt in the pas Agh, this book! My grandma gave me this to read, but even she was like, um, yeah, it's kind of lame, so read at your own risk. So, she did warn me, so this is all my fault. I think my problem is that I don't appreciate love stories where the woman gets to act like a raging b*tch because she's been hurt in the past, but the man is supposed to chase after her, even after she pushes him away multiple times. Lexie, our female lead, irritated me because that was all she did. She'd been hurt in the past, so she acted like an arse the whole time, sending mixed signals and getting mad when Jeremy, our male lead, couldn't figure out what she wanted. My other issue was the lack of development of some minor, but still important, characters like Rachel and Rodney. They obviously had key roles, but they stay ghosts that we barely get to know. I would like to have known more about them than freaking bad attitude Lexie and pushover Jeremy. يسعني القول أن الرواية ممتعة ومكتوبة بإتقان وواقعية، وأنها كمثيلاتها من الروايات المترجمة تعطي فكرة مهمة عن المجتمع الذي تدور فيه، وأعني هنا بحثها في العلاقة بين ولايات الشمال والجنوب الأميركي، إضافة إلى التفاصيل الصغيرة والانطباعات التي تزود بها القارئ عن الشخصيات والأماكن وطرق العيش والتعامل وغير ذلك مما يسر المرءَ تلقيه في قالب روائي. لكن في ما عدا ذلك، ليس في الرواية شيء غير عادي، إنها مجرد رواية رومانسية مكتوبة بجهد، ولا تحمل في طياتها أكثر مما يدور في فلكه هذا النمط، ربما يُحسب لها أنها تطر يسعني القول أن الرواية ممتعة ومكتوبة بإتقان وواقعية، وأنها كمثيلاتها من الروايات المترجمة تعطي فكرة مهمة عن المجتمع الذي تدور فيه، وأعني هنا بحثها في العلاقة بين ولايات الشمال والجنوب الأميركي، إضافة إلى التفاصيل الصغيرة والانطباعات التي تزود بها القارئ عن الشخصيات والأماكن وطرق العيش والتعامل وغير ذلك مما يسر المرءَ تلقيه في قالب روائي. لكن في ما عدا ذلك، ليس في الرواية شيء غير عادي، إنها مجرد رواية رومانسية مكتوبة بجهد، ولا تحمل في طياتها أكثر مما يدور في فلكه هذا النمط، ربما يُحسب لها أنها تطرح جانب التضحية في بناء العلاقات من جانب الرجال، إذ العادة تقضي بأن النساء هن الجانب المضحي عموماً، لكن هذا أقصى ما ترمي إليه، وليس من المفيد أن يتوقع القارئ منها أكثر من ذلك. فاجأني في الرواية أنه من العادي في بلدات الجنوب أن لا يكمل الشبان تعليمهم في الكليات الجامعية وأن ينصرفوا إلى العمل مباشرة بعد تخرجهم من الثانوية على اعتبار أن هذا أنفع لهم. وأذكر أيضاً أنني استمتعت بالتفاصيل التي أوردها الكاتب حول محرري ساينتفك أميركان وكتّابها، لا أعلم ما إذا كانت المعلومات مستقاة من الواقع أم لا، ولكنها كانت إطلالة موفقة على إحدى أهم مجلات العلم "العاميّة" في العالم. U početku je pomalo monotono, ali kasnije, iako predvidljivo, postaje bolje. Creio que este livro terá sido o que menos gostei do Nicholas Sparks. O resumo promete, mistério, fenómenos estranhos com uma pitada de sobrenatural (quiçá!?) mas quanto a mim foi explorado de forma insípida. A desilusão é ainda maior quando afinal a causa dos supostos fantasmas é do conhecimento de todos menos por parte de quem investiga. A previsibilidade quando confirmada de forma tão evidente torna-se no mínimo, aborrecido. In TRUE BELIEVER, journalist Jeremy Marsh spends his time debunking the supernatural. He has just finished exposing a fake television psychic, proving that the man was not able to read people's minds or see into their pasts. When he hears about a phenomenon happening in the small town of Boone Creek in North Carolina, where ghosts are seen inhabiting a local cemetery, Jeremy knows he will be able to find the truth behind the lights that are seen glimmering on certain nights above the cemetery gr In TRUE BELIEVER, journalist Jeremy Marsh spends his time debunking the supernatural. He has just finished exposing a fake television psychic, proving that the man was not able to read people's minds or see into their pasts. When he hears about a phenomenon happening in the small town of Boone Creek in North Carolina, where ghosts are seen inhabiting a local cemetery, Jeremy knows he will be able to find the truth behind the lights that are seen glimmering on certain nights above the cemetery grounds. He knows that ghosts do not truly exist. When Jeremy arrives in Boone Creek, he experiences what small town life is all about. He's from the big city and feels like he's walked into a time warp. Everyone knows everyone, and gossip spreads like wildfire. The very day he arrives in town, Jeremy makes a quick visit to Cedar Creek Cemetery, where the ghosts are reported to have been seen, when he notices a young woman there who catches his eye. He later finds out that her name is Lexie Darnell. Neither of them knows it but soon their lives will be changed forever. Lexie is the granddaughter of the woman who had invited him to visit the town. Doris Marsh is the town psychic. As Jeremy slowly does his research in the library where Lexie happens to work, he gets to know her. Despite what he feels about the town, he finds himself interested in this woman who doesn't seem to want anything to do with him. While Sparks tends to write tragedies as opposed to true romances, this novel is far from the tragedy that some of his other fiction books have been. This is not to say that TRUE BELIEVER wasn't enjoyable. But fans who are looking for the typical Nicholas Sparks book will not find it here. 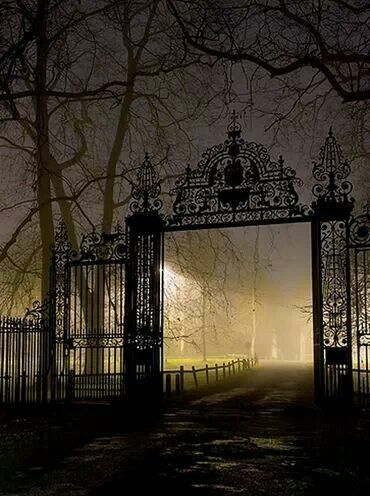 Instead of concentrating on the romance, this reviewer found the focus of the novel to be on the mystery behind the cemetery, and the high point of the plot was Jeremy's answer to the story behind the ghosts. The fact that Jeremy is dating a woman who believes her parents' ghosts have come to her in the cemetery makes the reader anxious to know what he finds, realizing that the answer will greatly impact the relationship that is central to the love story. One aspect of storytelling in which Sparks excels is his ability to create the characters who populate his books. His capacity to bring into being likable, everyday people helps make this novel readable. The strength of the story isn't necessarily the plot, and the romance that is found here is not one that a typical romance reader might expect. For this reader, the characters were the highlight of the novel, and the process of getting to know some of the more prominent ones was a delight. One will find oneself chuckling over some of the antics of the townspeople. The brouhaha that the people make over Jeremy's celebrity is very cute, if not humorous. Overall, the plot lines are balanced between the mystery of the cemetery, Jeremy and Lexie's relationship, the aspect of small-town living, and the individual life stories of the two protagonists. Focusing on the individual characters is just one way of truly enjoying this book. It's a soothing type of read, and readers will feel comfortable with these characters. I first read this years ago and chose to re-read it because I am going to read the second book 'At First Sight'. I'm not giving it a five because I feel some parts of the book dragged on a bit especially the beginning. I wasn't drawn in as much as I usually am from his books. I didn't feel a strong connection with the characters and parts of it was slow. But I still thoroughly enjoyed it and am looking forward to reading the second book. I enjoyed seeing Jeremy and Lexie fall in love and finally I first read this years ago and chose to re-read it because I am going to read the second book 'At First Sight'. I enjoyed seeing Jeremy and Lexie fall in love and finally having a happy ending after long distance complications. I'm excited to see how they are coping in the second book. The ending gave me chills, just the perfect ending. I had purchased the second book in this series without realizing there was a first book. So I listened to this one on audible. The narrator was awful and the music in the background was annoying. I never give up on a book so I persevered. It was just an ok story . Not much to keep my interest really . Too predictable! Let’s hope the second one improves. Só tenho uma coisa a dizer, quase nada me surpreendeu neste livro. Se pensava eu que finalmente tinha conseguido ultrapassar a minha crise com Nicholas Sparks este livro mostrou-me que estou completamente enganada. Parece que apenas gosto dos livros mais antigos do escritor, não sei que se passa mas este livro não foi nada o que eu esperava, no mau sentido. O enredo é deveras interessante, tenho de admitir isso, e se houve coisa que gostei foi do tema falado no livro. Só com isso o livro mereceu 2 estrelas logo. Mas, infelizmente pouco ou nada mais me impressionou. Adorei a Lexie, consegui identificar-me com ela. E aí o livro recebeu mais 1 estrela. Já vamos na 3 estrelas, mas o livro não conseguiu subir muito mais na minha consideração. Se Lexie era uma personagem interessante, as outras restantes eram demasiado chatas. Incluindo Jeremy, por momentos pensei em gostar dele, cheguei a tentar. Mas ele agia sempre de maneira tão previsível que desisti de tentar gostar dele. O romance entre Lexie e Jeremy era tão previsível não só por ser um livro de Nicholas Sparks, como pelo facto de eles estarem sempre juntos. Demasiado tempo juntos até. O romance deles era "Eu gosto de ti mas vou fazer-me de difícil porque sim". E isso irrita-me profundamente nos livros. Se gostámos de alguém devemos dizer e pronto. E mais de metade do livro foi assim, eles ali meio que a ter um "romance" enquanto trabalhavam juntos. Mas que máximo, e mais originalidade? Não? Ok. Sim, fiquei profundamente irritada com este livro, queria mesmo dar-me bem com Nicholas Sparks mas depois deste livro vai ser complicado conseguir integrá-lo na minha lista de escritores favoritos.